The Port of Esbjerg has been the primary base for all oil and gas activity in the Danish North Sea, since the extraction of oil and gas began more than 50 years ago. The companies at the Port of Esbjerg represent the entire supply chain for the oil and gas industry. The port’s oil and gas activities range across several areas: from supplying and servicing existing installations to the establishment of new fields. From maintenance projects involving several hundred employees in rotation on the platforms to rig-repair, security training and decommissioning. 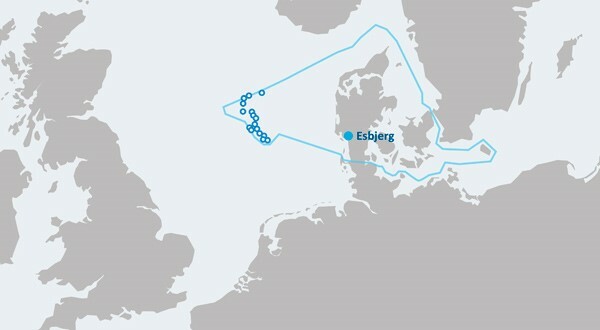 The map below shows the oil and gas fields in the Danish part of the North Sea, which are serviced from the Port of Esbjerg.